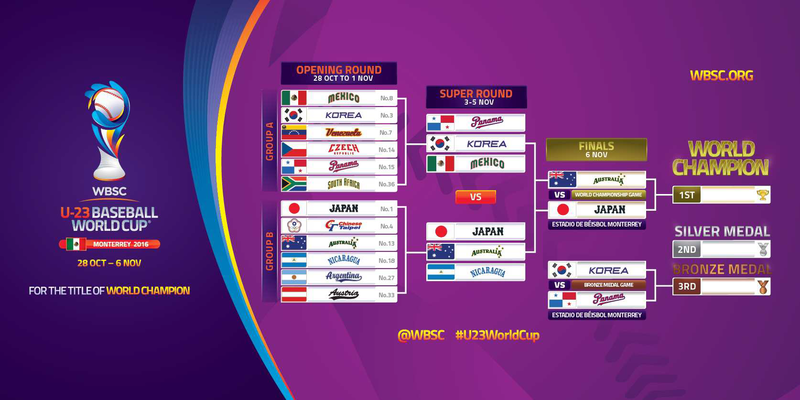 （Saturday, 5 November 2016）　Japan will meet Australia in the final of the World Baseball Softball Confederation (WBSC) Under-23 Baseball World Cup after both nations picked up wins in their last super-round matches in Monterrey. Japan qualified for the gold medal game by defeating hosts Mexico 3-2, a result which confirmed 13th-ranked Australia’s ticket into the final after they had beaten Panama 8-4 earlier in the day. 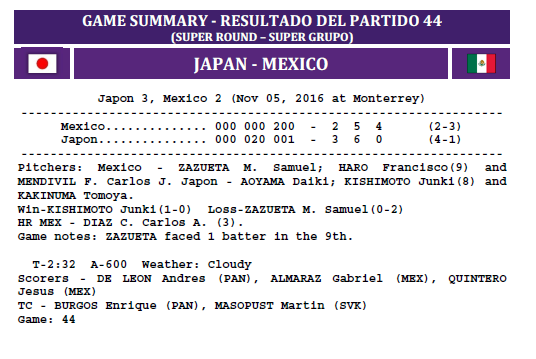 Mexico fell 2-0 behind in the fifth inning, when Taishi Hirooka’s ball was misplayed by third baseman Luis Fernando Medina Ponce. 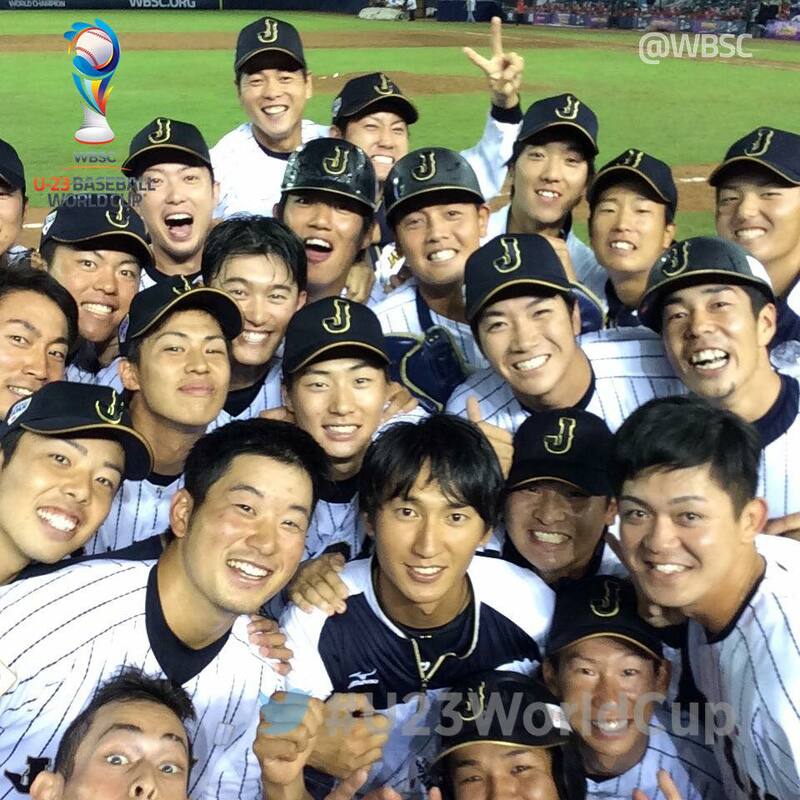 They answered back with two runs in the seventh courtesy of Carlos Andres Diaz Chavez, but a throwing error on a sacrifice bunt in the bottom of the ninth allowed Tomo Otosaka to score the game-winning run for Japan.